No one should have to feel overwhelmed by homemaking because it costs too much or they can’t get the help they need. Here are 32 Home Management Printables That Actually Work! When it comes to homemaking, do you ever struggle with everything on your to-do list? The cleaning, the cooking, the laundry, the organizing, the home projects… shall I keep going? I’ve said all of these before by the way. Almost all homemakers struggle with these points – whether you work outside the home or not, whether you have 0 kids or 12. Since I was struggling in these areas (and thought you might be as well), I created some encouraging and useful resources to overcome the most common homemaking struggles. Everything you need to take your homemaking strategy to the next level is included in the Homemaking Printable Pack. I’ve been using the goodies included in the printable pack and the resources have significantly changed my home management strategy. One major change is how we meal plan. Are you tired of feeding your family take-out for dinner? Actually, I recall some nights I fed my kids cereal. PB & J counts as a nutritious dinner right? Lol. Meal planning is an obstacle in many households. To help you with meal planning, I’ve included my #1 Printable in my shop, (these Meal Planning Cheat Sheets and Forms) in the Homemaking Printable Pack. These forms have drastically changed meals in our house and for many others that have purchased them. Now, all our meals are planned in advance so there’s no need to wonder what’s for dinner or grab fast food at the last minute. Even our grocery bill has decreased! By using the meal planning cheat sheets and forms in the pack, we’ve been saving $100-$200/month on groceries. The best part of the Homemaking Printable Pack is that it includes more than just resources to help you with Meal Planning. Ready to change your Homemaking Strategy? Resources that’ll make managing your home so much easier. It’s not like you expected homemaking to be a piece of cake. But you had no idea you’d be so tired, frustrated, and overwhelmed, right? I’ve often felt the same way. When I first became a wife and mom years ago, I wasn’t sure how to create the best home management systems so sometimes I would just give up. Homemaking is filled with mundane tasks that never end, but here’s the thing: do you want to spend more time overwhelmed by things you don’t enjoy? No, no, you do not. So what if you could find resources to help you become better at homemaking (and maybe even learn to love it)? Well, look no further, because I found something that might be just what you need: The Homemaking Printable Pack. The resources included cover everything you need to make homemaking less stressful. What is a stress-free household worth to you? Are your days filled with overwhelmed exhaustion? Do your clean clothes live in laundry baskets? Have your meals been lacking in the nutrient department? Homemaking isn’t easy for any of us. That’s why I created the Homemaking Printable Pack. No one should have to feel overwhelmed by homemaking because it costs too much or they can’t get the help they need. Get ready to have your mind blown. This method to organize house clutter quickly is not a new method or secret hack. Do you think the organizing pros have been keeping this secret method with how to declutter your home fast all to themselves? I think my mother used this “secret” strategy to quickly organize the house with 6 kids in the 1980’s… it’s definitely not a new way to clean a house fast… but it’s so easy that anyone with a laundry basket can do it. My friends and family always asked me how to declutter fast because our house looks like a model home (not to brag). So I shared my secret with how to declutter a house fast with my friends and family and then they started doing this trick to quickly organize house declutter. –>>Go here to learn my secret to Declutter Your Home Fast! I had no clue what a bullet journal was until I did some research and found a bullet journal description to be a combined day planner/journal/diary/sketchbook/to-do list. But what I found most interesting when I started designing my bullet journal pages was that I could make each page anything I wanted it to be. You see, there are A LOT of different planners and journals out there. 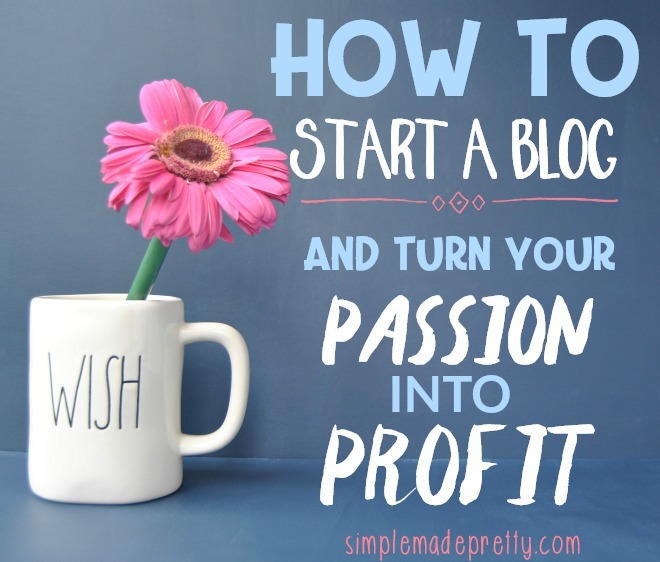 Like a blogging planner, business planner, mom planner, meal planner or a gratitude journal, meditation journal, travel journal… and the list goes on and on! 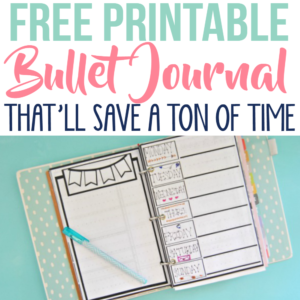 –>>Go here to see (and download) the Free Printable Bullet Journal Pages! Getting rid of the things you’ve collected during your life can be an emotional and physically draining process. Make the process easier by asking yourself 6 Questions to Help You Organize Your Life and Get Rid of Clutter. 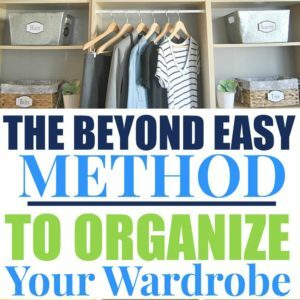 Learn how to Organize Your Life and Get Rid of Clutter with these 6 simple questions and #getorganized for good! If you don’t know how to declutter and simplify your home, this post with a simple 6 question checklist for decluttering your home can help. These questions can help you with organizing your life and getting rid of clutter. Getting rid of sentimental clutter is the hardest part for most individuals and these questions can help declutter your home fast. 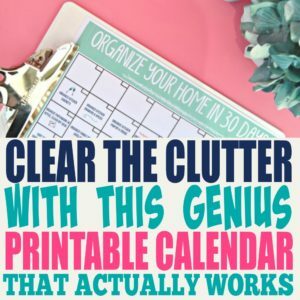 In fact, many of my readers have used this tool to learn how to clean and declutter their home in 30 days. 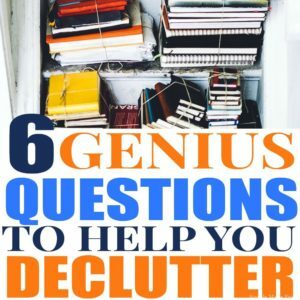 –>>Go here to see the full list with the 6 Questions to ask to get rid of clutter. Stuff overload. Negative energy in your home and surroundings. Sound familiar? Are your materialistic items taking over your life? Do you want to know how to get rid of unnecessary possessions and live the life you want? I want that too… I mean, I really want to share how you can get the life you want by only keeping yourself surrounded with what matters most. I know there are people (like you) that need REAL help getting their lives back and are stuck spinning their wheels because of the (bad) advice they find online. 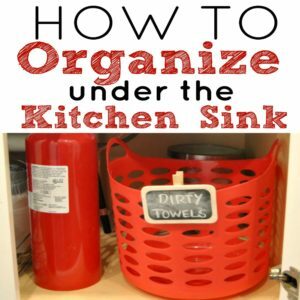 I’m sure you’ve seen the organizing “hacks” I’m talking about that don’t really help you eliminate things, but suggest that you need to add more things in your life in order to organize your current things. If you organize things a certain way, that will reduce the clutter in your life, right? Wrong. The only way to organize clutter is to get rid of it. Period. –>>Read more about How to Get Rid of Unnecessary Possessions and Live the Life You Want here. The best way to organize clutter is to get rid of the clutter right? 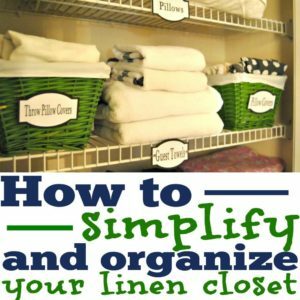 I agree that it doesn’t make sense to spend money buying more stuff in order to get organized, but there are certain organizing items that can help create a functional, simplified home. I’m a firm believer that it’s best to re-purpose many items around your home FIRST before investing in more stuff. Take a look around your home to see if you have similar items that you can use in place of these items (shoe boxes, plastic food containers, etc). 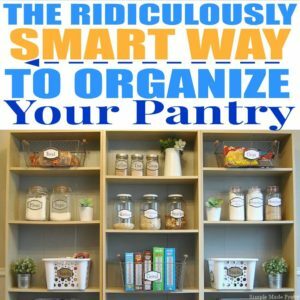 If you don’t find anything in your home that will help you create the organizing systems that you need, spending a few dollars on these useful organizing supplies will be worth the investment in the long run! –>>Go Here to see the FULL list of 10 Items You Need To Organize Your Home Like a Pro! You can organize the heck out of your home but truth is, Your Home is not completely organized until you add labels! I’ve done the hard work for you and made every label for every space in your home. If there is a label that you don’t see available below (for common household items), please let me know in the comments and I will add it! –>>Go Here to Print These Labels to Organize Your Home now! 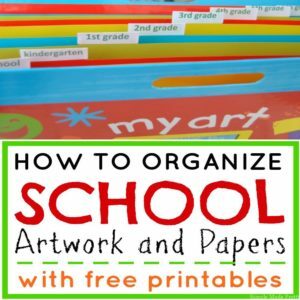 Need help getting your family organized? Want to learn how to declutter your home fast with kids? Do you need help simplifying all the “stuff” in your home? Let me help with my Cheat Sheet Bundle to Simplify Your Home in 30 Days! Right now, you can get the Simplify Your Digital Life Cheat Sheet Plus 20 more pages of printable forms, cheat sheets, and checklists to help you FINALLY get organized! –>>Download the Simplify Your Home in 30 Days CHEAT SHEET bundle here! –>>Want more tips to de-clutter your life? Check out Your Home Made Simple in 30 days. Not sure if you’re ready to commit 30 days? Try my FREE 3- day course to organize your kitchen here! 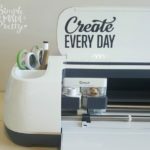 –>>Want freebies to help you get organized? Sign up to get access to my private digital library here! Get a full list of top organizing resources HERE. Psssssttt…Right now I’m offering a FREE 3-Day Course to Organize your Kitchen FOR GOOD! The free course includes instructions, tips and pictures for how to de-clutter, simplify and organize your kitchen in only 3-days! Hurry up and sign up here! (Course instructions will be sent after subscribing).